Hog Roast Catering Newport, Hog Roast South Wales & Pig Roast Cardiff.Hog Roast Catering in Newport, South Wales and outdoor catering specialist South Wales | Get piggy with it. 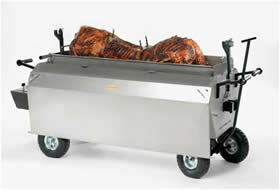 Bella’s Catering Services are South Wales Premier Hog Roast Supplier. We specialise in Hog Roast catering and buffets. Our Hog Roast prices offer full value for money accompanied with brilliant professional service.We have over 30 years of experience and we are the number one choice for our customers every year because we choose the customer first!! We cater for all events including weddings, corporate events, garden parties, christenings, BBQ’S, birthdays and many more…. The most important factor of party planning is finding a good reliable caterer to provide tasty, high quality food that will have your guests going back for seconds. That is where the Bella’s Famous Hog Roast will help! 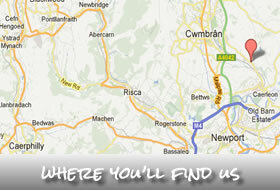 We provide first class Hog Roast Catering throughout South Wales. Our Hog Roast prices offer value for money and our wedding Hog Roast menu has been designed perfectly for the happy couple. The team are located in Newport but cover the following areas Newport, Cardiff, Cwmbran, Chepstow, Caldicot, Monmouth, Swansea, Bristol, Gloucester and surrounding areas. We prepare your pork and cook it to perfection with our specially designed roast ovens, your Hog Roast meat will be golden brown on the outside and juicy and tender on the inside. All Hog Roasts will be judged on their crackling and Bella’s Hog Roasts is the crunchiest and tastiest crackling around!! We have public liability insurance and have the highest standards of food hygiene with certificates to match. We are very professional, friendly and provide outstanding buffet’s fit for a king. Please don’t hire us…….If you are looking for an average roast, We are the team that provide the most! !